If peace and quiet is what your seeking then look no further. Fantastic view from the upstairs bedroom as well as the front courtyard to the wetlands preserve. This home offers spacious bedrooms with their own baths attached. The living area features beautiful plank wood flooring. Fenced pool/spa & on site security! 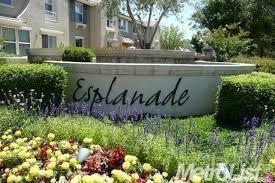 Close to shopping, schools, recreation, Folsom Lake, Bike trails, Old Town/light rail, fwy access.